Breakfast is said to be the most important meal of the day hence it is highly recommended to have the best and a healthy diet for breakfast. After a complete overnight fast body needs something to gain energy hence the very first meal is named as Breakfast means breaking the fast. Experts suggest that breakfast needs to be taken within 2 hours of waking and a healthy breakfast should provide calories in the range of 20-30% of the total calories to be consumed in a day. A healthy breakfast helps to maintain the blood sugar levels and keeps it stable during the day. The morning breakfast reduces overeating during the day and helps in avoiding unnecessary cravings. Having a healthy first meal helps in reducing the risk of heart diseases. A healthy breakfast helps in boosting brain and helps in improving concentration and productivity. Having breakfast keeps the stomach fuller for a longer time and hence helps in avoiding junk food. Psychologists say having a nice and healthy breakfast helps in keeping a person in a good mood. People who skip breakfast are more likely to be overweight. The right choice of food in the breakfast helps in keeping a good memory. Sometimes we get so busy with our work that we skip the most important meal of the day but there are numerous options which are quick and easy to be consumed and full of nutrients. Some of the healthy breakfast items include a slice of bread topped with a slice of cheese, handful of almonds and a bowl of yoghurt, instant oatmeal, poha, porridge and a lot more other options like fruits and milk. In Northern India, Poha is one of the common dishes made in every household when it comes to healthy breakfast options. Poha is nothing but flattened rice also known as Chura. This is easily digestible and is very popular in India, Bangladesh and Nepal. As the preparation of Poha is quite easy and quick so whenever you are getting late for work and want to have a healthy but quick breakfast then nothing can be better than Poha. Poha recipe in Hindi and English is easily available over the internet making it easier for the new cooks. There are different ways of making Poha some like it sweet and some like it salty but both the ways it is simple as well as tasty. It is one of the most popular dishes in the state of Maharashtra, flattened rice when cooked with crispy onions and potatoes topped with peanuts are the best ever breakfast one could have. A lot of namkeens are made using this flattened rice, mixed with fried lentils, gram and peanuts. 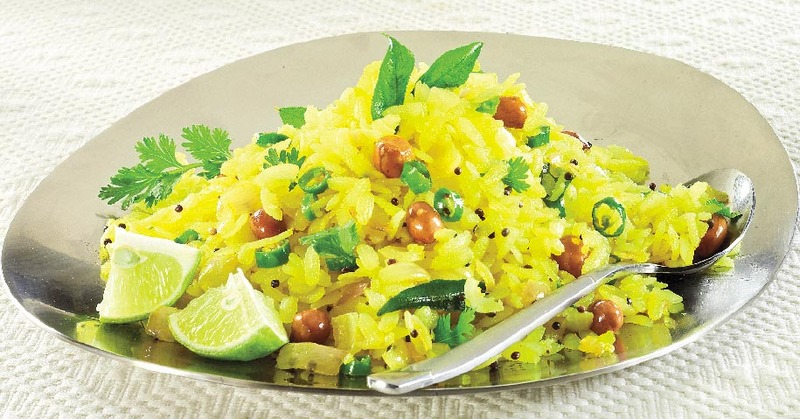 For the busy bees, who are also concerned about a healthy diet can make Poha anywhere anytime.